Walk SF’s new executive director is Nicole Schneider, who will take the reins of San Francisco’s pedestrian advocacy organization starting September 23. Schneider will fill the shoes of Elizabeth Stampe, who has left the position to take a maternity leave but promises to return to Walk SF in another capacity. Schneider, who has an extensive background in urban planning and advocacy working to improve public health, said she’s excited to take on the position. “I’m interested in creating environments, using policies and implementation strategies, and engaging communities to make San Francisco a more equitable place for people not only to walk, but to live,” she told Streetsblog. Nicole comes to Walk San Francisco with a background in active transportation, urban planning, and public health. 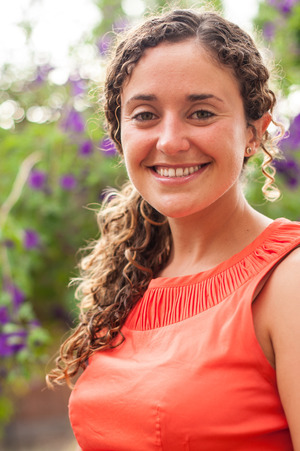 As an independent consultant, Nicole helped develop climate change adaptation plans for the San Francisco Department of Public Health’s Program on Health, Equity and Sustainability, and provided bicycle and pedestrian planning services to the Alameda County Transportation Commission, where she worked with cities to implement complete streets strategies. Prior to starting her own consulting business, Nicole worked at Prevention Institute, where she trained community groups across the U.S. in policy and media advocacy strategies to create healthy, equitable places. Nicole earned a Masters of Public Health and Masters of City Planning from UC Berkeley. At a meeting in July, the Board of Supervisors commended Stampe for her three-year tenure in leading Walk SF and her legacy of elevating pedestrian safety issues in the political landscape and successfully advocating for measures like the implementation of 15 mph school zones, the first program of its kind in the state. 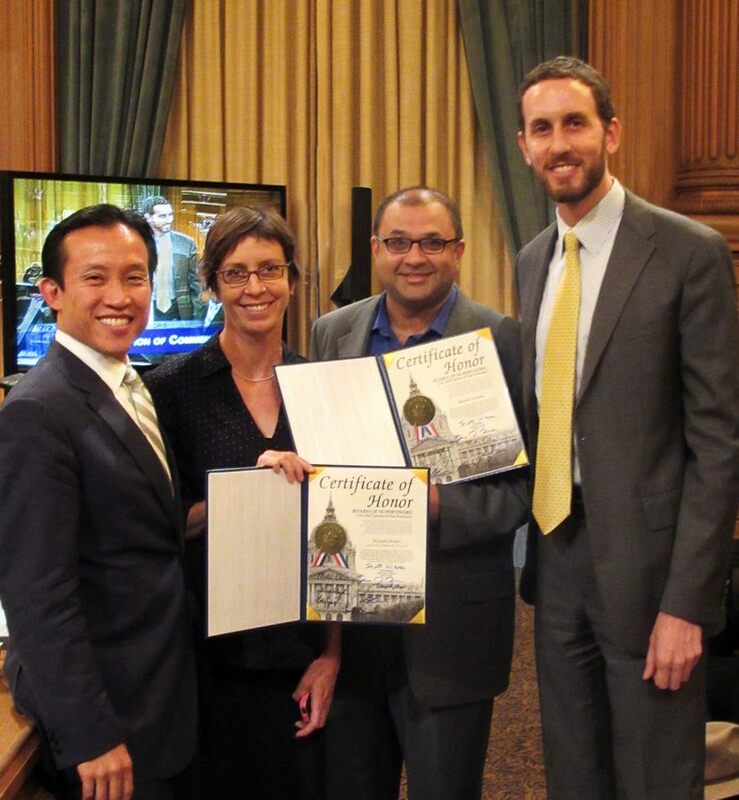 The board also commended the work of Manish Champsee, who also leaves his ten-year volunteer career at the organization, during which he served as Walk SF board president. At the board meeting, Stampe and Champsee were praised by Supervisors Scott Wiener, David Campos, David Chiu, John Avalos, Norman Yee, Jane Kim, and Eric Mar. “I think it’s fair to say you have both literally saved people’s lives because of the work you do,” said Campos. It’s a tough job being public mourner-in-chief for every pedestrian who gets killed in this city. Elizabeth Stampe handled it with tenacity and grace. Best wishes to Nicole Schneider. Congratulations Nicole and SF Walks!